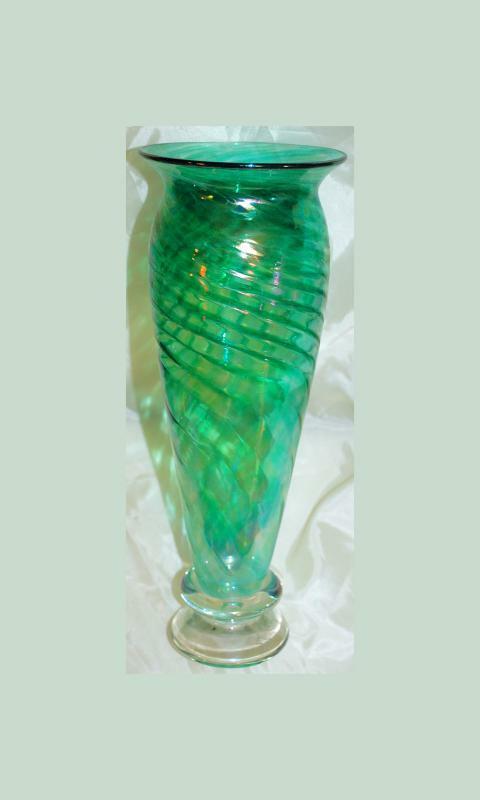 ED BROADFIELD GLASS Green Iridescent Swirl Art Glass Vase . It sits on a clear foot that is signed on the bottom . In addition still shows the pontil mark. It measures 11.5" tall and about 4" at the shoulder. 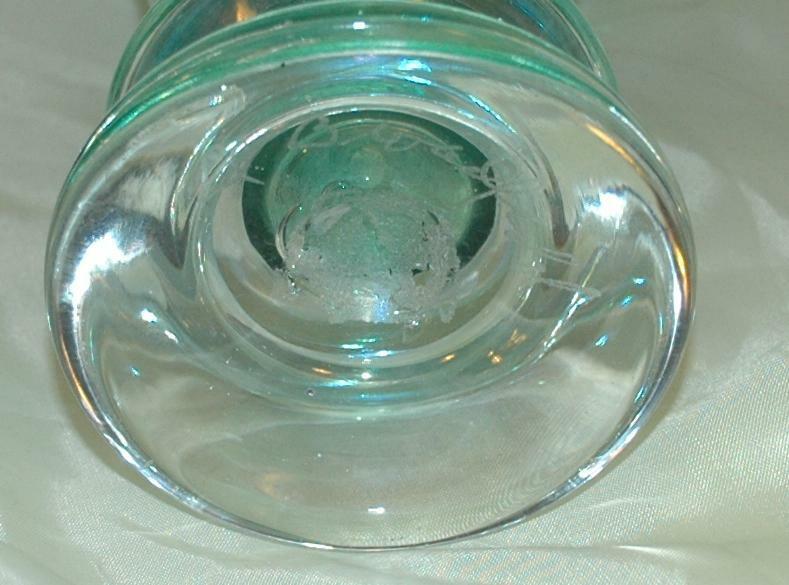 Lovely iridescent glass with green swirls that get closer together toward the top. The piece is in excellent condition. The artist Ed Broadfield Glass has his studio if full production in San Macros California. His work is incredible as well as innovative. Items Similar To "ED BROADFIELD GLASS Green Iridescent Swirl Art Glass Vase , Tal..."